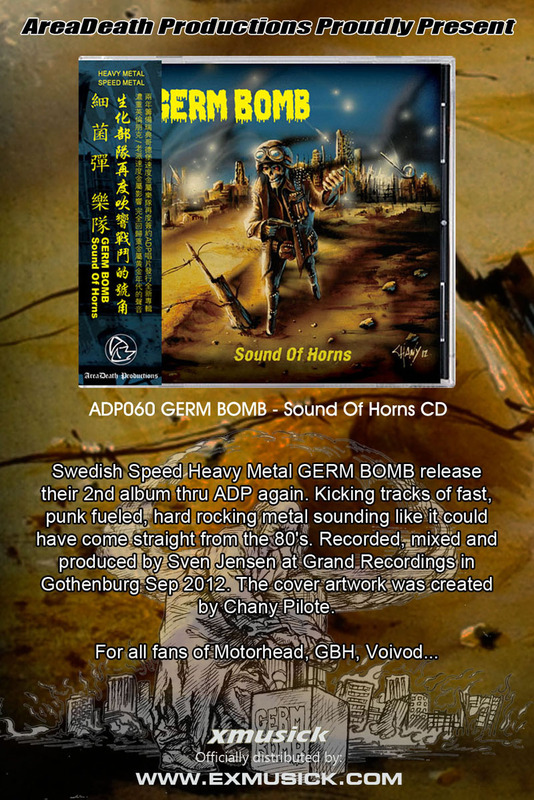 Swedish Speed Heavy Metal GERM BOMB release their 2nd album thru ADP again. Kicking tracks of fast, punk fueled, hard rocking metal sounding like it could have come straight from the 80's. Recorded, mixed and produced by Sven Jensen at Grand Recordings in Gothenburg Sep 2012. The cover artwork was created by Chany Pilote.